The representatives of both houses of Congress embody the relationship among government, politics, and power, and the roles people can play to influence policy and action. 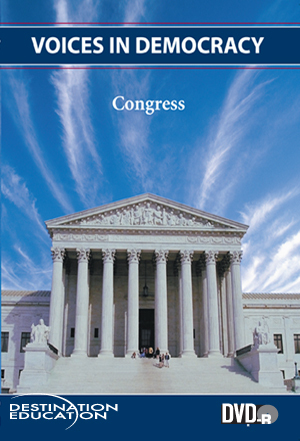 This lesson explores the structure and function of the committee system, the ability of Congress to adapt and reform itself, the varied roles Congress plays in the public policy process, and the often-conflicting roles of representation that a member of Congress must follow. ●The varied roles a member of Congress must play. Rights granted with purchase of DVD include: a) life of media audiovisual use, b) public performance, c) campus or building closed circuit and digital/video-on-demand transmission.